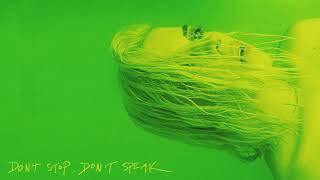 “Don’t Stop, Don’t Speak” follows a busy end to 2018 for Car, as she released a single and video for “Girlfriend” and share the stage with She Wants Revenge and Flint Eastwood. “Don’t Stop, Don’t Speak” is the new single from Car Astor (formerly known as SEE). The 22-year-old New York native, who was thrusted upon the scene in 2016 when her video “Potions” off her EP Ties, produced by Brad Wood (Smashing Pumpkins, Liz Phair, Veruca Salt), premiered at AfterEllen.com and went viral within the week, gathering 25,000-60,000 views per day (current view count of over 6.5 million views).